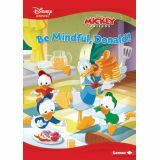 Temperamental, mischievous Donald Duck is not exactly the picture of mindfulness. 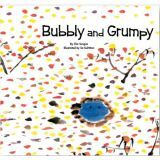 So who better than this favorite Disney character to tackle this aspect of social and emotional learning? “What's the big idea?” It's mindfulness, Donald! 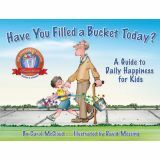 Through the metaphor of a simple bucket, this award-winning series of heartwarming books encourages positive behavior by showing children how easy and rewarding it is to express kindness, appreciation, and love by “filling buckets.” 32 pages. 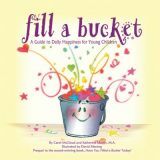 Our latest release in the bestselling Bucket Fillers line takes the concept of bucket filling one step further by adding the idea that we also have an invisible lid. 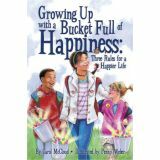 We “use our lid” to protect and keep the happiness inside our bucket. 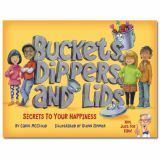 Offering charming illustrations with personified buckets, dippers, and lids, readers learn what gives happiness, what takes it away, and what protects it. 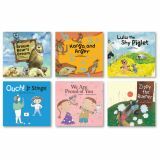 This concrete concept helps children of all ages grow in understanding, kindness, self-control, resilience, empathy, and forgiveness. 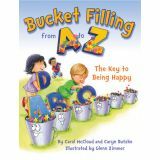 A valuable teaching tool for home, school, and life, this is a stand-alone or companion book to the other award-winning books by Bucket Fillers, Inc.
Anger, Joy, Sadness, Fear, and Disgust wrestle for the controls when Riley has a frustrating Saturday. What should Riley do? 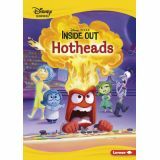 Tag along with Riley and the rest of the crew from Disney's Inside Out as Riley remembers how to deal with anger and explores the core topic of dealing with emotions. 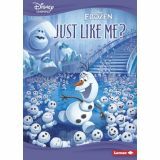 Olaf is dismayed to discover his brothers don't like warm hugs like he does. Anna and Elsa comfort him by explaining how they too are different. 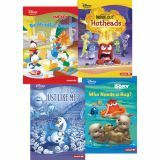 Tag along with Olaf and the rest of the cast of Disney's Frozen to learn how differences are valuable and can make families fun!